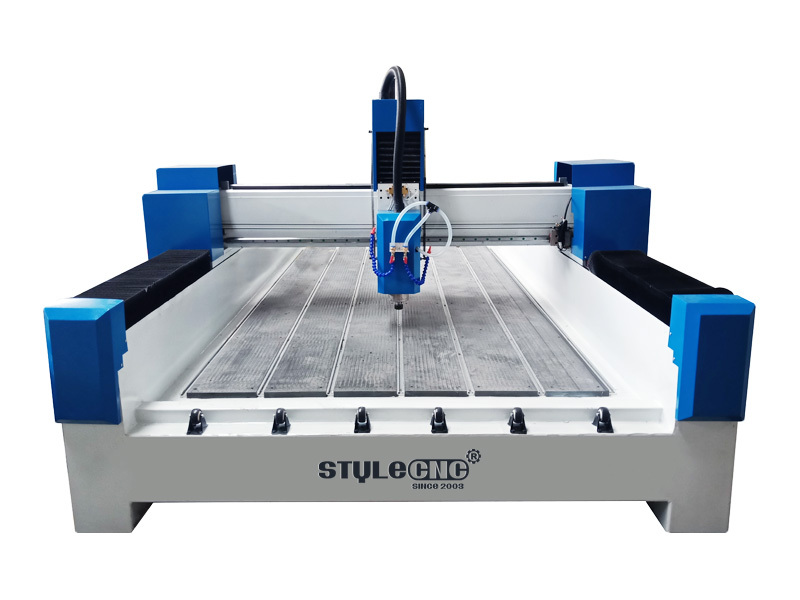 Stone engraving machine is a big category of CNC engraving machine, as users of CNC engraving machine more and more, stone engraving machine also get more customers attention. Stone engraving machine is a big category of CNC engraving machine, it is a rising star of CNC engraving machine. As users of CNC engraving machine more and more, the use of more and more widely, stone engraving machine also get more customers attention. Compared to other materials for engraving, higher hardness of stone, engraving machine requirements are also higher. So, relatively speaking, stone engraving machine performance is very high. Stone engraving machine can be used for lettering stone, stone reliefs, stone carved male, female stone carving, line carving stone, stone cutting, stone carving manufacture hollow for tombstone carving, stone carving crafts, and other artifacts. With the older generation mason back, because the job is too hard, stone dust pollution, young people hardly engaged in stone carving industry, we now have a stone carving imminent interrupted vacuum. Jinan Lifan machinery market has been bullish on the stone, with the introduction of a variety of stone engraving machine, we have been concerned about the large number of customers. With the stone market expansion, as well as people on the pursuit of stone crafts, stone engraving machine applications will be more extensive. STYLECNC convinced, stone engraving machine market will become increasingly broad. License: The text of "Stone engraving machine applications and market trends" by STYLECNC is licensed under a Creative Commons Attribution 4.0 International License.